High-dose, long-term use of vitamins B12 and B6 dramatically increase a man’s risk of lung cancer, especially among those who smoke, according to a new study from The Ohio State University Comprehensive Cancer Center - Arthur G. James Cancer Hospital and Richard J. Solove Research Institute. (COLUMBUS, Ohio) – B vitamins are among the most popular supplements on the market in the United States. 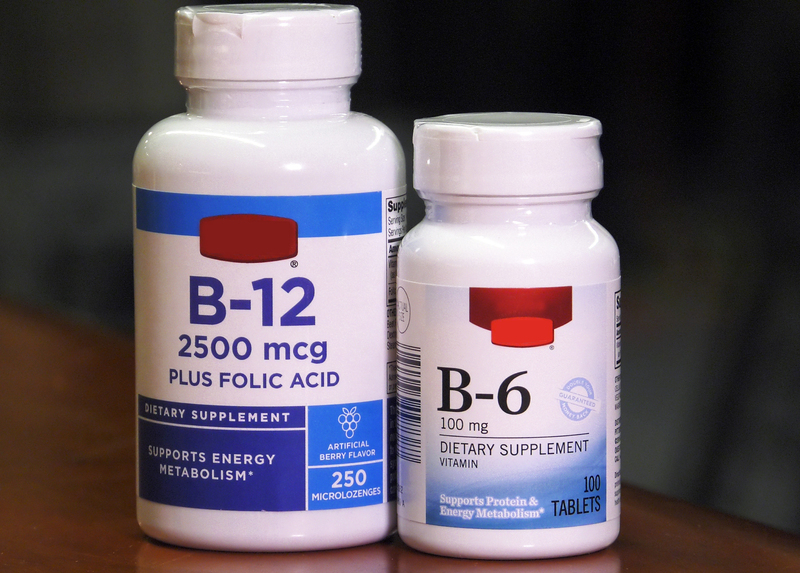 Some, like B6 and B12, are marketed and sold as products that can boost your energy. But a new study shows that using too much vitamin B6 and B12 dramatically increases lung cancer in men, particularly those who smoke. Surprisingly, there was no increased risk of lung cancer found in women who took high-dose vitamin B6 and B12 supplements long-term, only men. The recommended daily allowance for vitamin B6 for men is only about one and a half milligrams, and for vitamin B12, it’s less than two and a half micrograms per day. The study followed more than 77,000 patients for more than a decade. 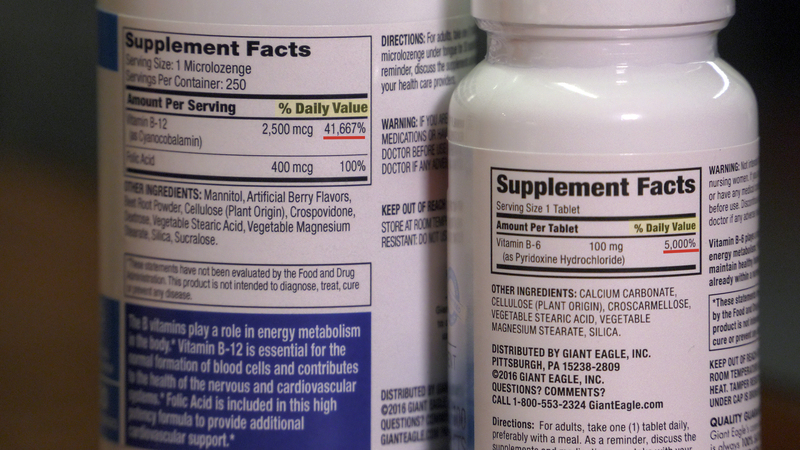 Researchers analyzed data from 77,000 people who reported taking high-dose B6 or B12 supplements for more than a decade. They found that men supplementing at this level had approximately double the risk of developing lung cancer. Those who also smoked had a risk more than 3 to 4 times higher according to the study from The Ohio State University Comprehensive Cancer Center - Arthur G. James Cancer Hospital and Richard J. Solove Research Institute. 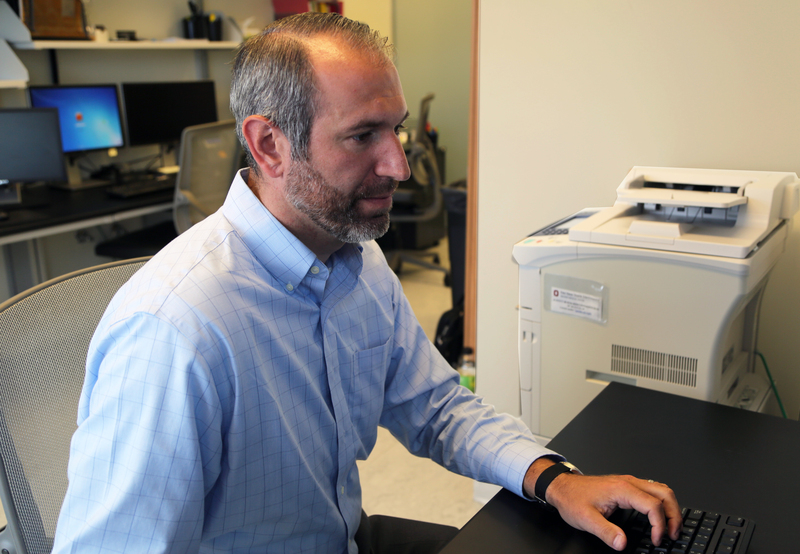 Theodore Brasky, PhD, looks at data from a study on vitamin B supplements at The Ohio State University Comprehensive Cancer Center - Arthur G. James Cancer Hospital and Richard J. Solove Research Institute. Researchers there followed more than 77,000 people for more than a decade and found that men who took high doses of vitamin B6 and B12 supplements for at least a decade had approximately double the risk of developing lung cancer, and in men who smoked, the risk was 3 to 4 times as great. Surprisingly, women involved in the same study who also took high levels of vitamin B supplements showed no increased risk of lung cancer. 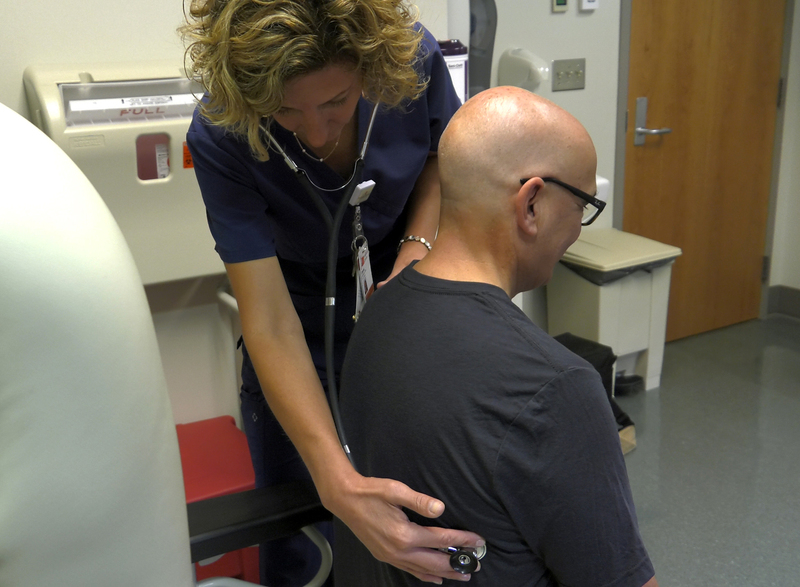 Diana Sullivan, RN examines a patient at The Ohio State University Comprehensive Cancer Center - Arthur G. James Cancer Hospital and Richard J. Solove Research Institute. In a newly published study, researchers there discovered that men who take high-dose vitamin B6 and B12 supplements for a decade had significantly higher risks for developing lung cancer, especially if they also smoked while taking the supplements.